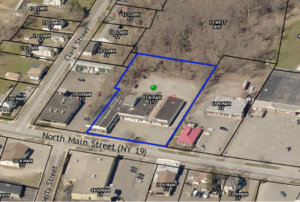 Rochester, NY – Christopher D. Giunta and John B. Kaman with Cushman & Wakefield Pyramid Brokerage Company of Rochester, NY closed on the sale of 43 North Main Street located in Brockport, NY. Christopher Giunta and John Kaman of Cushman & Wakefield/Pyramid Brokerage’s Investment team recently closed on the sale of 43 North Main Street, which is a 17,539 ± square foot multi-tenant retail plaza located in Brockport, NY. Christopher and John represented the seller in this transaction.